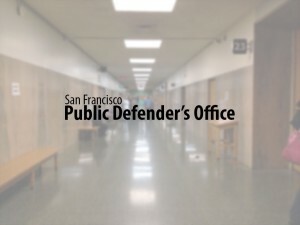 San Francisco, CA — Jan Lecklikner, a longtime San Francisco public defender in the office’s juvenile unit, has been named Defender of the Year by the California Public Defenders Association. Lecklikner will receive her award today at CPDA’s 42nd Annual Convention and Training Program in San Jose. Each year, organizers select one public defender or private defense attorney to receive the award based on a recent accomplishment, or in Lecklikner’s case, her body of work. Lecklikner, a public defender for 32 years, has worked at the San Francisco Public Defender’s office since 1984, and in its juvenile division for approximately six years. Lecklikner said she was honored to be recognized by other public defenders across the state. “It is an honor to be recognized as a ‘trench lawyer,’ one who tries that single rock of cocaine case, investigates probation violations, advocates for juveniles – all the work that never makes it to the newspapers but matters in the life of the individual client,” she said. Before being hired at the San Francisco Public Defender’s office, Lecklikner worked as a public defender in Contra Costa and San Diego counties. She earned her bachelor’s degree in applied behavioral science from the University of California, Davis in 1972 and her law degree from Golden Gate University in 1978. She is the co-founder of Women Defenders, an organization of women criminal defense attorneys and past president of Criminal Trial Lawyers Association of Northern California.